An international atmosphere in Amsterdam is generating a vibrant and diverse art scene. Its rhythms are influenced by the city’s vast variety of museums, galleries and project spaces. The artistic landscape of Amsterdam is enriched by institutions that provide high-quality art education and supported further by organised competitions with valuable prizes. This city attracts artists from around the world, and it goes without saying, that Polish artists have journeyed to Amsterdam and set to work. Let’s see if you are familiar with some of the Polish artists that have made a place for themselves in this multicultural mixture of creators. Her artistic journey first took her to the Netherlands in 1988, when she held a scholarship at The Koninklijke Academie van Beeldende Kunsten in The Hague. Then again, in the year 2000, she came to Amsterdam for a two-year residency in the prestigious Rijksakademie voor Beeldende Kunsten. As her — now remarkable — global art reputation gathered momentum in the 2000s, she was invited to take part in the „Time and Again” group show at the Stedelijk Museum CS in 2004. Nine years later, she prepared a solo show „Au Bonheur des Dames”, which opened in the Stedelijk Museum in 2013, and ran for four months from September to January 2014. The exhibition showcased a theatrical installation, consisting of collages, paintings and neons made by the artist. 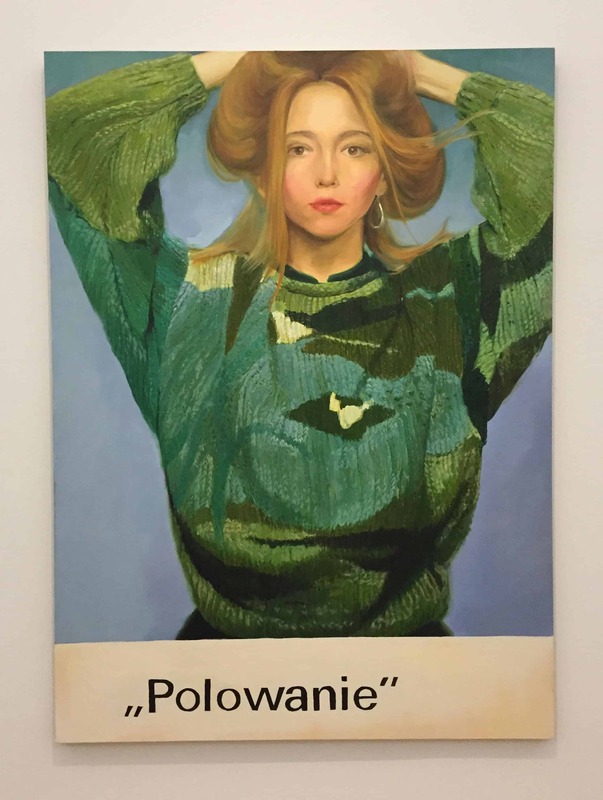 The Stedelijk holds a number of Ołowska’s pieces in its collection and has had them on public display several times since, especially in the recent months. Currently, her painting „The Hunt” is on display as part of the „Freedom is a Recognized Necessity” exhibition. This show aims to highlight the works of the artists from former ‘Eastern Bloc’ countries. Also on display are pieces by Wilhelm Sasnal and Zofia Kulik, both significant Polish artists. „Freedom is a Recognized Necessity” will run on till August 12th. In 2013, he released his first photobook called Disassembly, which has stirred up the Polish photographic scene since it’s publication. In this project, Bownik dis-assembled flowers, and in a way this is similar to 17th and 18th-century botanists, he photographed the process, taking care to show the small synthetic supports he used during the reassembly process. Bownik was able to create a seductive visual effect, but more importantly, in this way, he was able to ask philosophical questions about our concepts of reality. This project was exhibited in Amsterdam in 2015, as part of the Unseen Photo Fair; this exhibition was undertaken in conjunction with the Starter Gallery in Warsaw. He exhibited his flower-based project once more in 2017, at the Ravestijn Gallery, but along-side this, Bownik exhibited elements of his Reverse project. This new project sets out to reveal the inner side, the linings, of traditional folklore costume. Early this year, some of Bownik’s Disassembly photographs were displayed as part of the “Back To The Future “exhibition, which took place at the Foam Photographic Museum in Amsterdam. This exhibition brought together the photographic experiments of the 19th century and the photographs of contemporary artists. 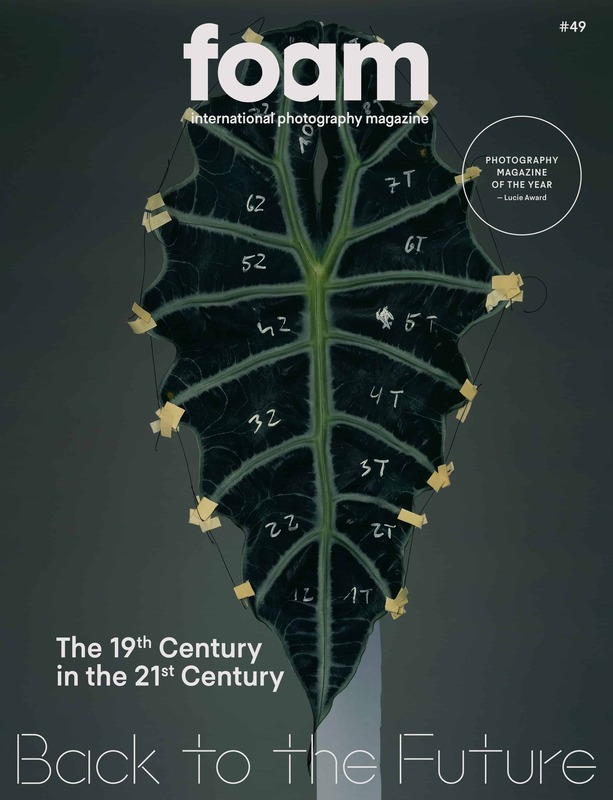 Lastly, but by no means least, Bownik’s picture was on the cover of Foam Magazine — published by the Foam Museum — a top flight, opinion forming contemporary photography magazine, widely known in Europe. She is another talented polish artist with affinity to the photographic medium, who has appeared on the front cover of Foam Magazine recently. In her series of photomontages titled „Traces”, she makes use of stock American photos from the 50s and 60s. By editing them, she creates disturbing, surreal images, that seem to be a critical comment on terms of identity, memory and relationships. 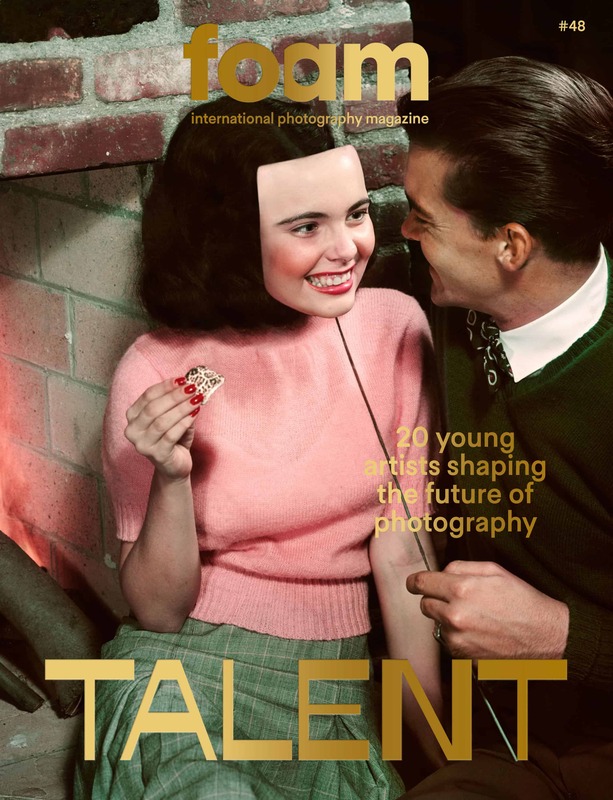 Gęsicka won the Foam Talent contest in 2017: It is a yearly competition that adds an extra boost to the career development of emerging photographers. 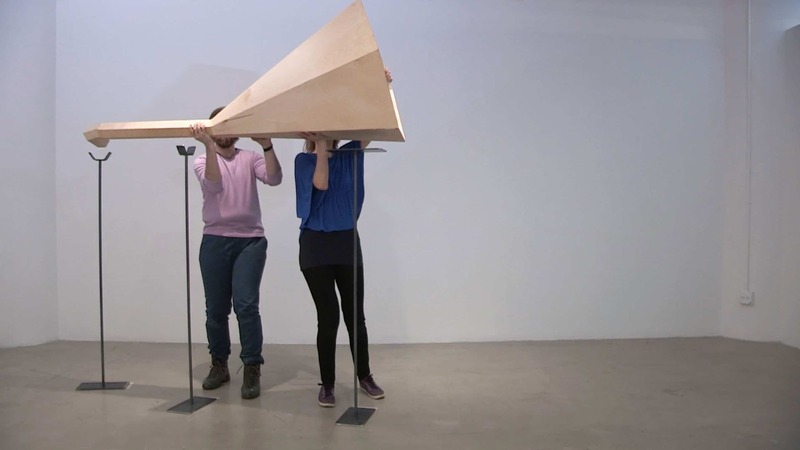 Part of the prize is participation in a travelling group exhibition, so the „Traces” project was showcased not only in Amsterdam, but in Red Hook Labs in New York too. This month, the exhibition will be open at the Beaconsfield Gallery in Vauxhall, London (on view from 16th of May), and at the Frankfurt Art Association, the Frankfurter Kunstverein, (on view from 24th of May). Furthermore, Gęsicka’s new project will be showcased during the Unseen Photo Fair in September this year, at the JEDNOSTKA gallery booth,- Keep your eyes open! After she completed an Art History course at Warsaw University in 2005, she moved to Amsterdam and spent four years studying Fine Arts and Design at the Rietveld Academy. This art school is famous for its international character, and strong conceptual approach. Nowadays, she lives and works in Warsaw. Bielawska makes sculptures and installations; she works with different materials, including ceramics and textiles. Very often she starts her creative process with drawings, and later on — while playing with other materials — she forms three-dimensional objects. She is filtering her own perception of reality and turning it into colourful abstract objects. She has been nominated to take part in important Polish Art competitions, like Views 2015, the Deutsche Bank Award, and Paszporty Polityki in 2016. 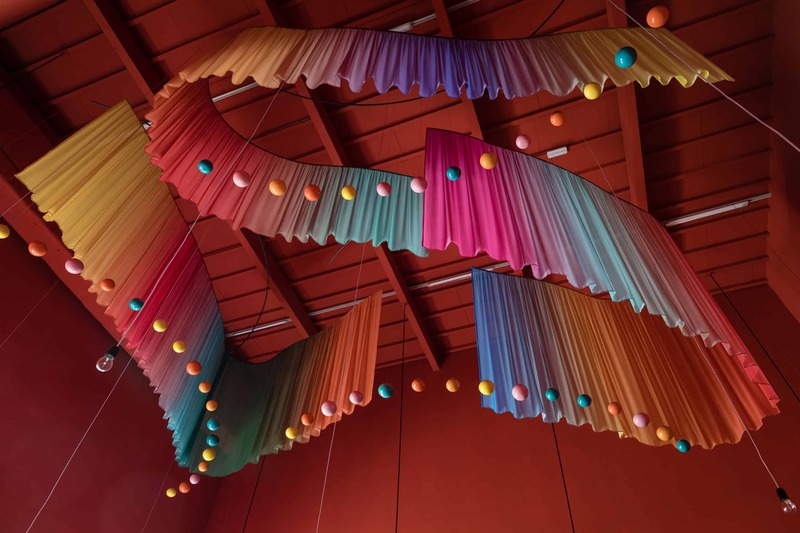 Her new installation, titled „Dreamed at Night, in the Light of Day”, is on display in the Powidoki Bistro, located in a new venue called the Museum on the Vistula. This work was commissioned by the Museum of Modern Art in Warsaw. She has studied at the Rietveld Academie in Amsterdam, and at the School of the Art Institute of Chicago. Anna Orlikowska splits her time between the Netherlands and the United States. In her projects, she investigates the concept of space, and its activation by various media like performance, video and sound. In her artistic practice, she is focused on the process of translating one experience into another, both in terms of medium and sensory perception. She is deeply interested in sound, and its relation to architecture. Her works can be described as site-specific, and ephemeral. In 2015 she had a solo exhibition „Can you hear me?”, at the Ujazdowski Castle Center for Contemporary Art in Warsaw, within Bank PKO Project Room. She has received several grants and scholarships. Among others, she was awarded with the Mondrian Fonds Stipendium for Emerging Artists in 2017, holding art residencies in New York and Los Angeles, where she undertook research for future projects.